24 years ago this Sunday, a superstar was tragically taken away from us. Selena was a star for more reasons than I can name in this post. By the age of 23, she had already broken tons of stadium records, won a Grammy and was on her way to becoming a mainstream sensation. Sadly, the morning of March 31, 1995, she walked into a hotel room in Corpus Christi, Texas to confront her fan club president about embezzling money. In what felt like seconds, Selena turned her back and was then shot. She had to walk across a field to the lobby where the receptionists called the ambulance. Sadly, at 1:05 PM, Selena was pronounced dead due to a loss of blood. Selena was born on April 16, 1971, in Lake Jackson, Texas and raised in Corpus Christi, Texas. From an early age, her father Abraham Quintanilla saw something special in her and spent his time trying to perfect her craft. He put her and her siblings into a band and named them Selena y Los Dinos. They performed from a young age at festivals, restaurants, beaches and more. After years of touring around Texas to get their name out, Selena y Los Dinos were discovered by Jose Behar, who was the head of EMI Latin at that time. From there onwards, Selena recorded hit after hit. Some of these included, Baila Esta Cumbia, La Carcacha, La Llamada and Buenos Amigos. In 1993, she released her album ‘Entre A Mi Mundo’ which included the song that pushed her into superstardom; Como La Flor. The song hit Number 1 on the Latin charts and is considered one of her signatures. Selena continued her success with the release of her next 2 albums, ‘Live’ and ‘Amor Prohibido’ which contained even bigger hits such as the titular song, Bidi Bidi Bom Bom, Donde Quiera Que Estes, No Me Queda Mas and El Chico Del Apartamento 512. Selena was never one to be put in a box. She expanded herself by becoming a fashion designer and opening a boutique store in Corpus Christi named Selena Etc. 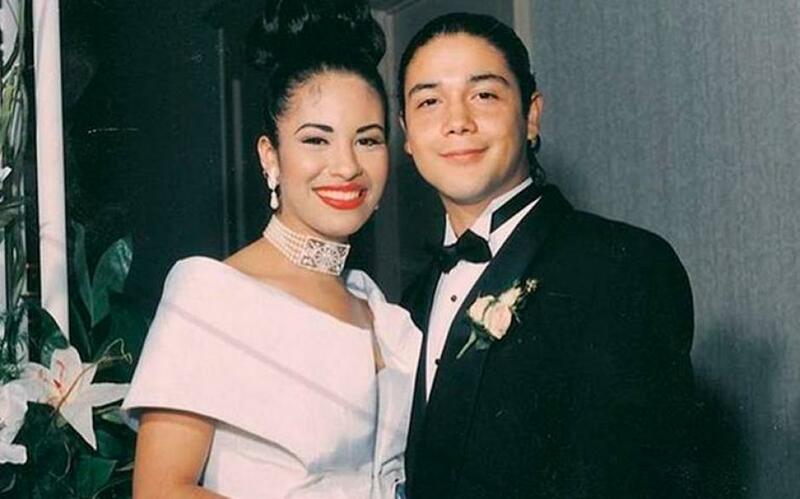 By 1994, her life was looking perfect, she was married to guitarist Chris Perez, had an amazing career, a loving family and had already accomplished so much in her young life. She was ready to take on her next dream; crossing over into the English music market. At the time of her death, Selena was halfway through recording songs for her first full-length English album. She sadly didn’t get to see her success come to fruition. And that is why Selena’s death was a huge loss for the music industry. She was beloved by so many people, respected for her impact on Latin music and kept on breaking down barriers as if they were nothing. When her life ended, the Latin community was hugely impacted, but as time moved forward, more people outside of the Latin world came to know her name largely due to her fans and the 1997 biopic starring a young Jennifer Lopez. But that is a testament to her ‘it’ factor. Even in 2019, she is still being immortalized through shirts, covers, tv shows and even google doodles. Selena means so much to me for so many reasons. I grew up listening to her almost every day and watching the biopic all the time. As I grew older, I discovered more about her life and the type of person she was which made my love for her grow even stronger. Selena represents me more than any other icon ever could. She was a Mexican-American who struggled with being both Latin and American in the US. She loved both English and Spanish music and had an incredibly close relationship with her family. She just had that “It” factor and it’s so sad that her life had to end in such a tragic way. Selena was on the verge of a breakthrough into the mainstream world and would’ve been a giant star today. Her legacy will live on for eternity because that is exactly what she deserves. I’ll be dreaming of you forever Mi Amor. This entry was posted in Culture Connection, Entertainment, Music, New Music Now and tagged American, amor prohibido, como la flor, corpus, corpus christi, corpus christi texas, dreaming of you, icon, latina, latinX, legend, Mexican, mexican american, selena, selena quinanilla perez, selena quintanilla, star, texan, Texas by Elvin Sisco. Bookmark the permalink.